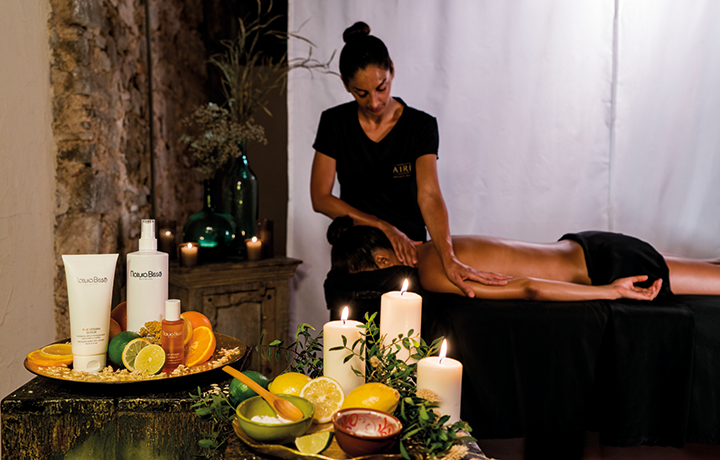 For this exquisite ritual that combines a facial treatment with full-body massage, we draw inspiration from the light and essence of the Mediterranean. The products from the C+C Vitamin Line by Natura Bissé work like a marvellous cocktail of vitamins, concentrating all the antioxidant power of their main ingredients to repair and enrich the skin, giving it an extra dose of luminosity and hydration. 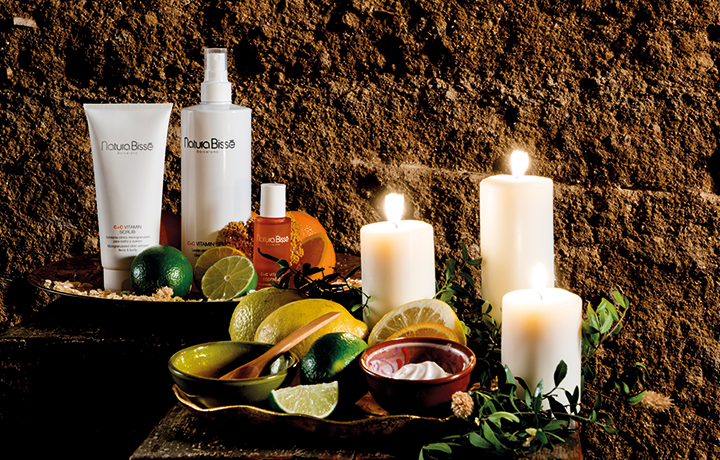 Feel like the light, the energy, and the essence of the Mediterranean are repairing and nourishing your skin with this vitamin C bath that bears the seal of the prestigious Natura Bissé. - A 90 minutes long ritual including a 30 minute relaxing full-body massage with C+C Vitamin by Natura Bissé* body cream, working the legs, abdomen, arms, back, and cranium, and a complete 60 minute facial treatment that begins with inhalations with C+C Vitamin Essence, continues with a fine mist of C+C Vitamin Splash to go on to the cleansing phase with The Cure All-In-One Cleanser. Next, the face is exfoliated using the C+C Vitamin Scrub peeling and we apply the C+C Ascorbic Acid Concentrate. Then, a delicate massage with jade stones helps the C+C Vitamin Cream penetrate the deepest layers of the skin on the face, neck, and chest. Finally, we apply the C+C Ascorbic Facial Mask and, once removed, finish the ritual by applying The Cure Sheer Cream while giving a gentle head massage. - A fruit and vegetable juice with detox effect. Vitamin C is one of the most powerful antioxidants found in nature. The C+C Vitamin Line by Natura Bissé combines different sources of vitamin C in high concentrations to achieve maximum synergy and efficacy in their formulas. The result is beautiful skin, hydrated and reaffirmed, prepared to defend itself from free radicals. This ritual is recommended to eliminate signs of tiredness from the skin, to counteract unhealthy habits, and also to nourish skin and alleviate the effects of sun exposure. During the thermal tour, listen to your body to know when you should change from one bath to another of a different temperature. Remember that at any time you can access the relaxation room where cold water and our special selection of AIRE Tea to keep you hydrated are always at your disposal. If at any point during your massage you feel that the pressure is too intense or too light, please, tell your therapist.